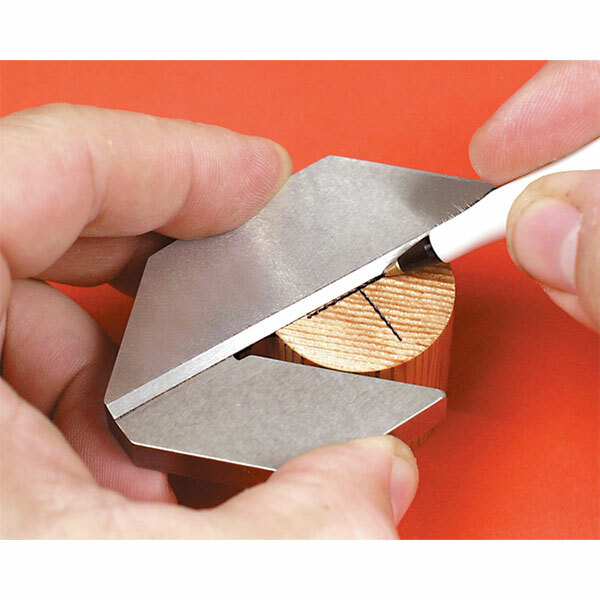 Use the Center Square to find and mark the exact center of round, square and octagonal parts up to 2-1/2 inches across. To find the center, insert the item into the 'V' of the square and mark a line. Then, rotate the piece 90 degrees and mark again. Made of precision ground steel.